J Thomas Forbes, BA’90, MPA’96, was appointed chief executive officer of the Indiana University Alumni Association in June 2010. 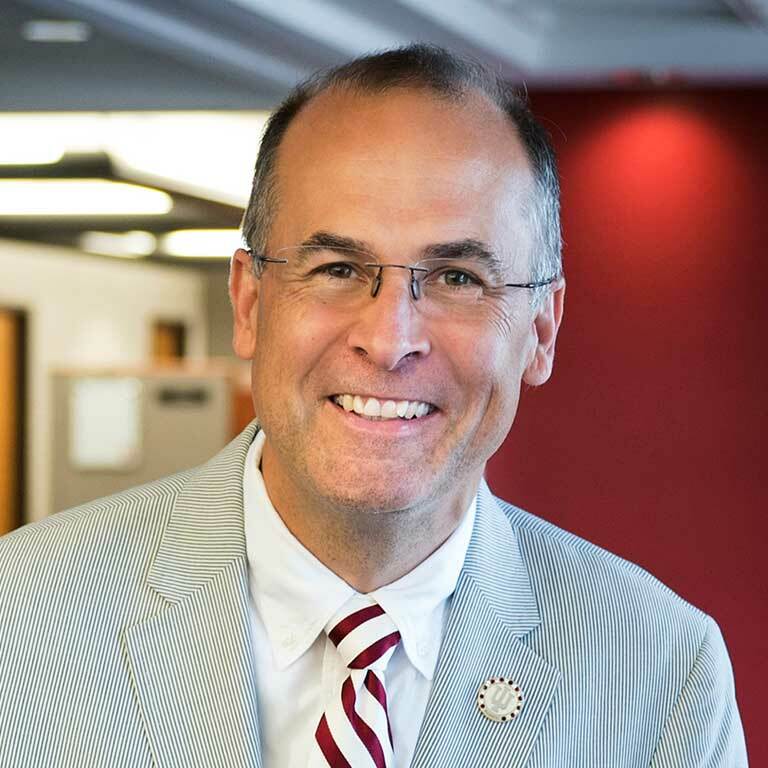 He returned to IU after a stint in the private sector, where he served as director of state government relations for Cummins Inc. and as a principal private sector staff leader for the United States–Brazil CEO Forum. An experienced higher education leader, JT. has served in communications, marketing, public affairs, and government relations roles at IU and Michigan State University and provided consulting on these issues for other major public research and land grant colleges. His service to the advancement field includes work as a Consulting Vice President for Grenzebach Glier and Associates philanthropic consultants and active service with the Council of Alumni Association Executives (CAAE) and Council for Advancement and Support of Education (CASE). A two-term CAAE, JT. also is a member of the CASE Commission on Alumni Relations, chair of the CASE Summer Institute in Alumni Relations, and active on the CASE Alumni Engagement Metrics Task Force. As a student, J T. was president of the student body on the IU Bloomington campus, founded the All University Student Assembly to unify IU students from all campuses, and served as a trustee of Indiana University. A life member of the IU Alumni Association, he is married to Martha Shedd and has three adult children.